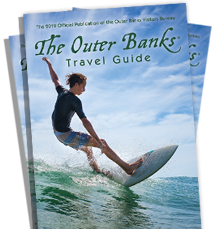 Don&apos;t just take our word for it, see for yourself the beauty of the Outer Banks. This as we call "America&apos;s First Beach" is a truly unique and special place where you can mark many "firsts" off your bucket list. By Air, By Land or By Sea, pick the tour that best suits you. We offer many trips for groups and the entire family. Fishing lessons, biking on the beach, hearing howls of Red Wolves are just a few to name.